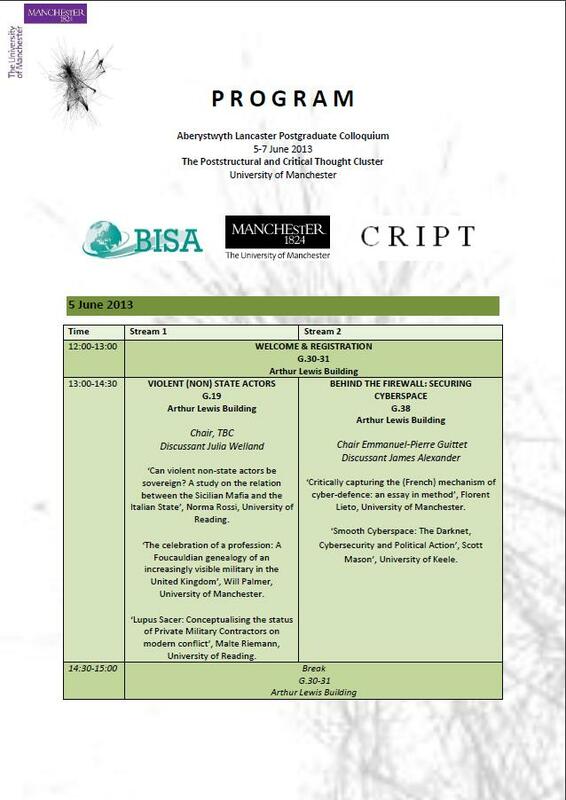 In 2013 The Poststructural and Critical Thought Cluster, in partnership with Politics at Manchester, the BISA Poststructural-Politics Working Group PPWG and BISA Contemporary Research in International Political Theory Working group CRIPT, will be hosting the 11th annual Aberystwyth-Lancaster Postgraduate Colloquium at the University of Manchester. 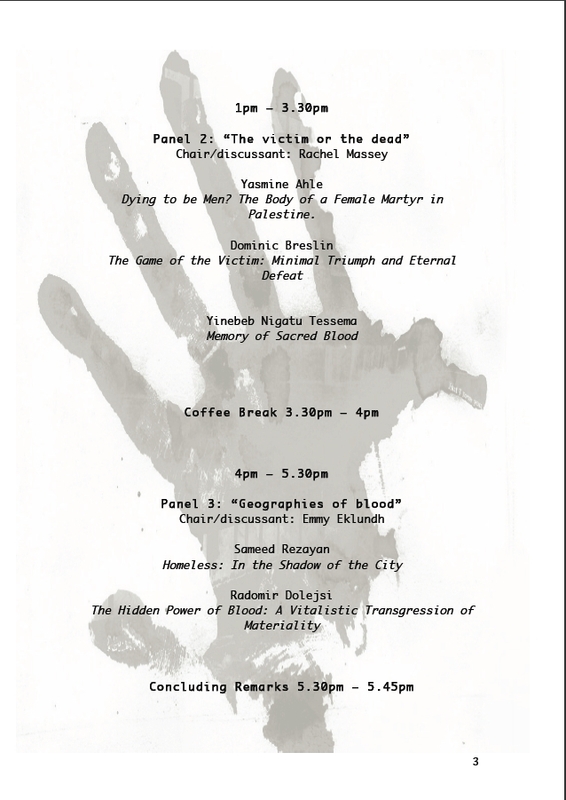 I am delighted to announce that Dr. Andreja Zevnik and Dr. Aoileann Nimhurchu will be presenting on May 8, 15:00-17:00, G.19, Arthur Lewis Building. They will provide us with an overview of their research as well as insights from recent papers presented at the International Studies Association. Andreja’s research projects include a further investigation into her existing project on Guantanamo detention centre by focusing on human rights, forms of life, and legal and political subjectivity; and a future project a on The world in becoming where the aim is to explore the possibilities and the limits of new understandings about political and economic space by rethinking ideas such as the common and labour. She also works on Lacanian psychoanalysis, Marxist theory, films, novels and new postmodern methods and methodologies. I am currently working on several new projects. One of these looks at how ‘alternative’ thinking is imagined in the field of international relations beyond a state-centred sovereign spatio-temporal world. A journal article and an edited book are current under review linked to this project. A second project I am working on explores the ongoing process through which politics is rethought and contested – the way in which it is constantly being (re)written through many different voices by way of their particular concerns, topics or questions. 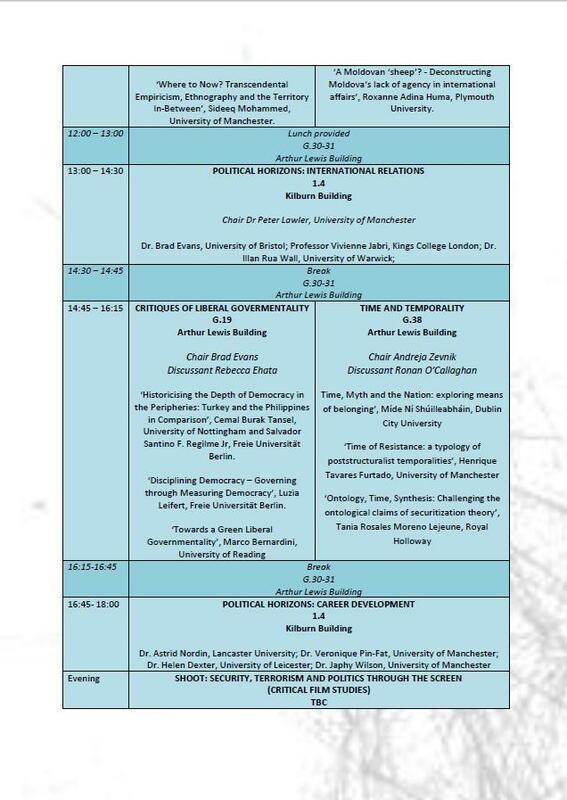 This project is linked to a seminar series entitled ‘Many Voices, Many Politics: Locating Politics across the Inter-disciplinary Spectrum’ which will run between June 2013 and Jan 2014. Finally, I have begun to work on a new project provisionally entitled ‘Political Geographies of the In-Between’. 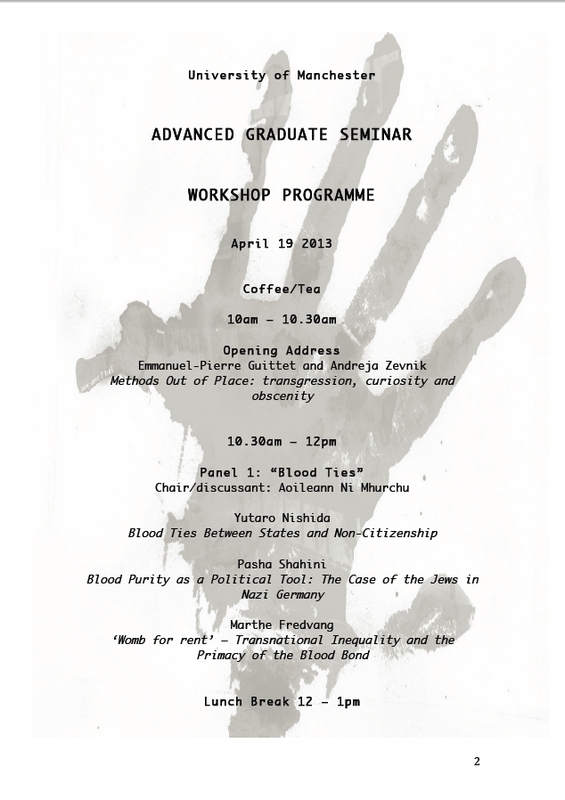 This project draws on experiences of second generation migrant citizens and uses psychoanalysis, poststructuralism and postcolonial theory to consider how power (as gender, race, ethnicity) operates through non-sovereign, fragmented bodies as well as through sovereign coherent autonomous bodies. 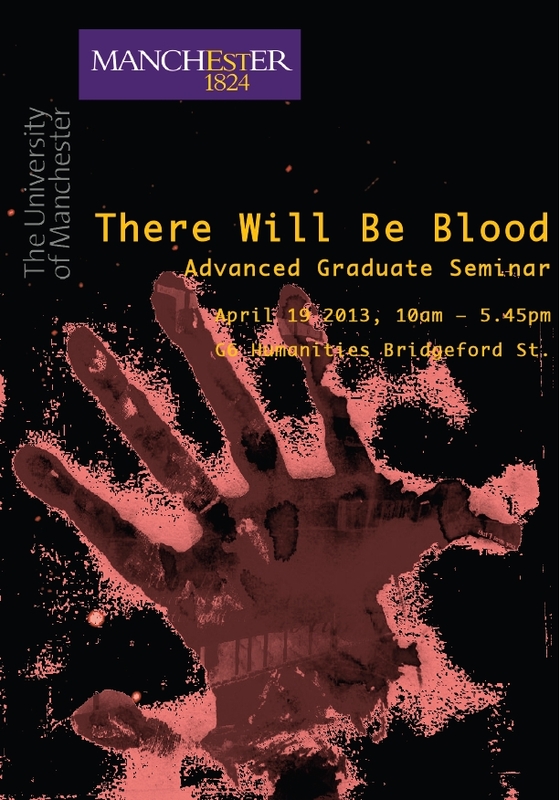 ‘THERE WILL BE BLOOD’: ADVANCED GRADUATE SEMINAR – APRIL 19 2013, 10:00- 17:45, C 6 HUMANITIES BRIDGEFORD ST. There is no modern medicine without Vesalius’ curiosity for anatomy. How far could we push the analogy with the study of violence? It is by no mean an invitation to, stricto sensus, dissect bodies but rather a manifesto for grounded-research, a call for (re)discovering the texture of the underground way of life, taking the pulse of motives and sounding the memories of seditious actors who, for particular but not necessarily singular reasons, have pushed the doors of high-risk political activities and entered into the realm of “explosive politics“. 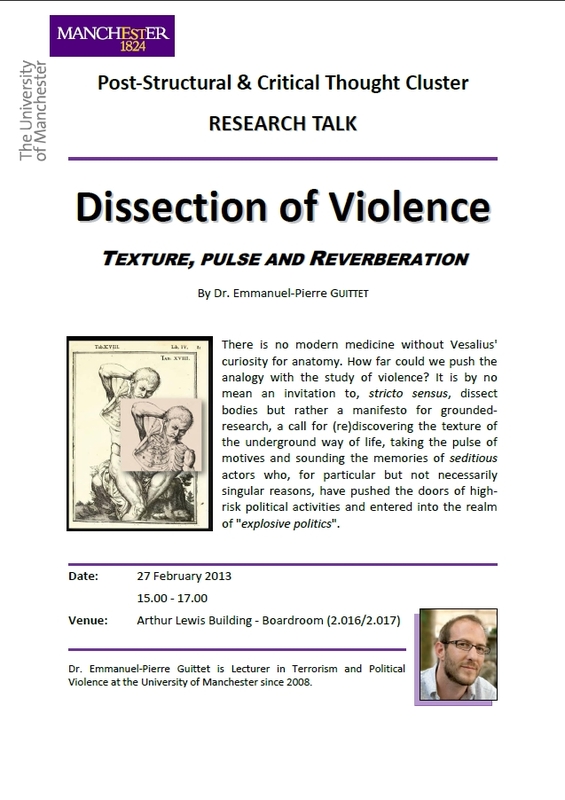 Dr. Emmanuel-Pierre Guittet is Lecturer in Terrorism and Political Violence at the University of Manchester since 2008. This Wednesday is our first event of the semester and second open discussion ‘Universities, extensions of state bordering practice’, 3-5pm, Roscoe 4.3. Aoileann has kindly circulated two short news items – an article and film – to get us thinking! 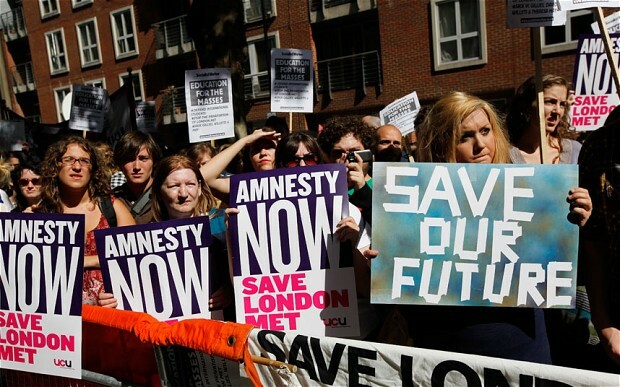 Will the world still trust our universities if we deport foreign students? 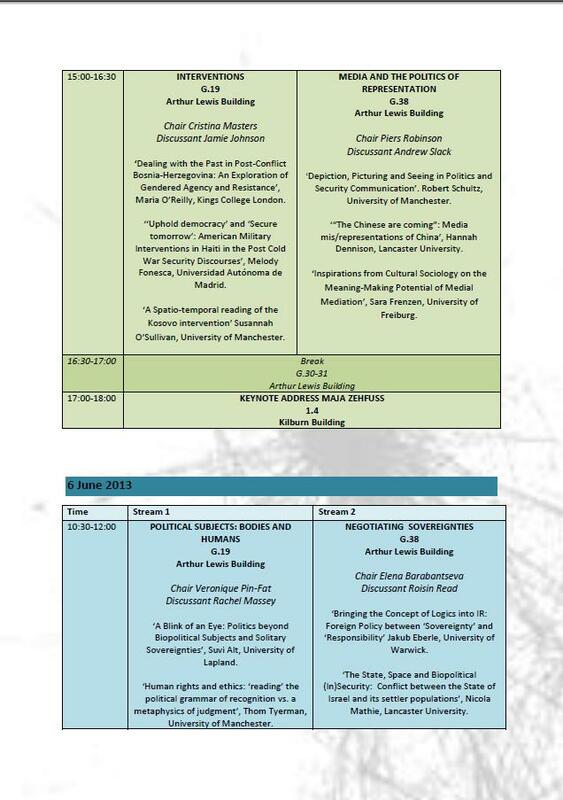 We are pleased to announce that Professor Oliver Richmond and Professor Rodger Mac Ginty, our colleagues at HCRI, will be joining us for the final session of the Poststructural and Critical Thought Cluster this year. We will be meeting on December 12 between 4.00 – 6.00 pm in the 2cnd Floor Boardroom, Arthur Lewis Building. 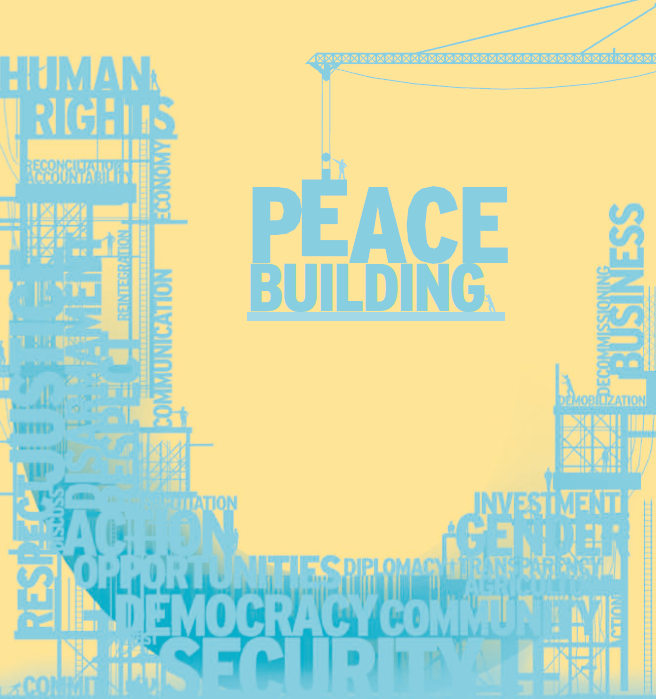 Oliver’s primary area of expertise is in peace and conflict theory, and in particular its interlinkages with IR theory. 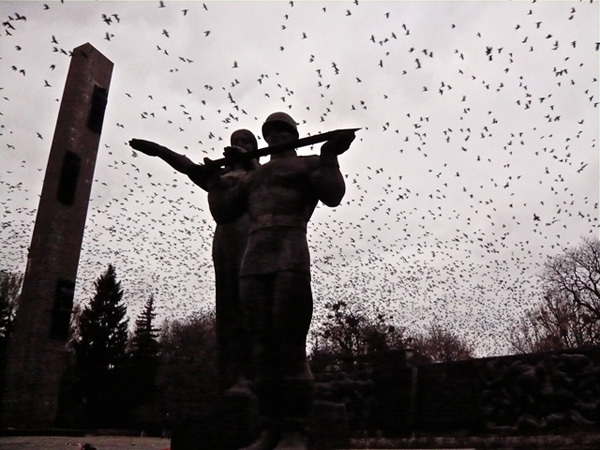 Recently, he has become interested in local forms of critical agency and resistance, and their role in constructing hybrid or post-liberal forms of peace and states (see A Post-Liberal Peace, 2011). He is editor (with Roger Mac Ginty) of the new Taylor and Francis journal Peacebuilding. Oliver is currently co-directing and involved in several major research projects, funded by a range of research councils and donors. 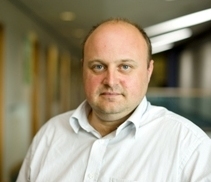 He has received several major grants, including from the Leverhulme Trust, two EUFP7 grants, an EU Marie Curie for post-doctoral support, two grants from the British Academy, as well as UNU, the Carnegie and Nuffield Trusts (for fieldwork and for further post-doctoral support). Roger’s main research interests are in peacemaking processes in civil war, political violence and post-war reconstruction. His latest book, ‘International Peacebuilding and Local Resistance: Hybrid forms of peace’ was published by Palgrave in June 2011. 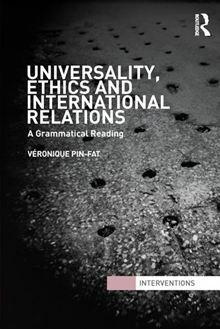 He edits a book series from Palgrave entitled ‘Rethinking Political Violence’ and will be editing a Taylor and Francis journal entitled ‘Peacebuilding’ to be launched in 2013. This journal will be co-edited with Oliver Richmond who we’re delighted to say will also be joining HCRI (in April 2012) as Professor of International Relations, Peace and Conflict Studies. For 2011 and 2012 he is on research leave courtesy of a EU FP7 grant in order to work on the project ‘The role of governance in the resolution of socioeconomic and political conflict in India and Europe’. 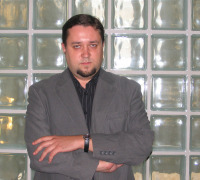 In the Fall semester 2011 he was a Senior Visiting Research Fellow at the Kroc Institute for International Peace studies at the University of Notre Dame. He has conducted field research in Bosnia, Croatia, Northern Ireland, Jordan, Sri Lanka, Lebanon and New Zealand. The Poststructural and Critical Thought Cluster are hosting PhD student Benjamin Tallis on December 5, 3:00-5:00, 5.206, University Place. 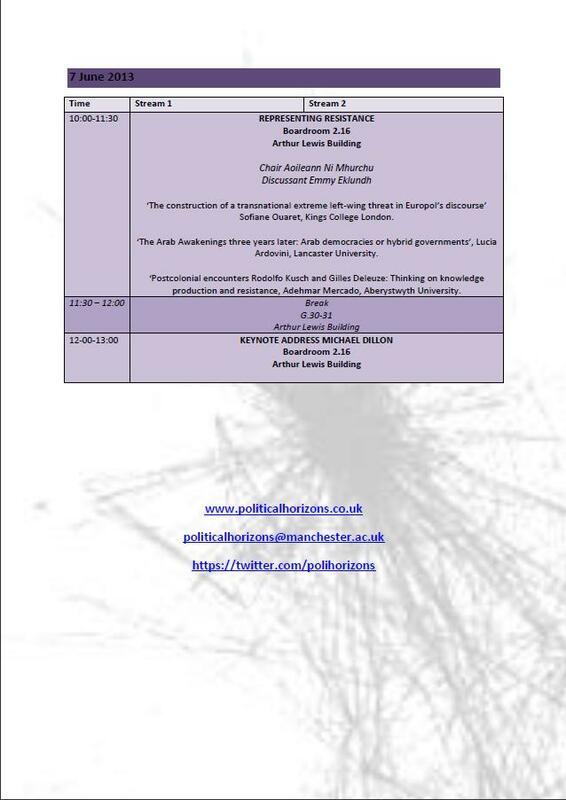 We are very pleased to announce Professor Rob Kitchin will be speaking on ”Public Academia and New Social Media” at the Poststructural and Critical Thought Cluster this Thursday, November 1, 2.00- 4.00, in 5.206, University Place. As you have probably already heard, this year, Poststructuralist and Critical Thought Research Cluster opens its year with a day visit by Sergei Prozorov from University of Helsinki. On Tuesday morning, October 2, Sergei will lead a masterclass where papers of five current PhDs at the department will be discussed 10am − 12pm Boardroom, ALB; and later in the afternoon he will deliver a lecture entitled ‘Three Concepts of the World and the Possibility of Universalism’. The event will take place at 4pm – 6pm, Theatre B, Roscoe. Sergei works on Foucault, Esposito, biopolitics and The Soviet Union; he’s a provocative thinker and a very stimulating presenter. So please spread the word and join us for what promises to be a very stimulating event.